“The substantial improvements of individual ASD patients’ trajectories were conspicuous and suggest that further investigation of sulforaphane in ASD is promising,” say researchers involved in the study. 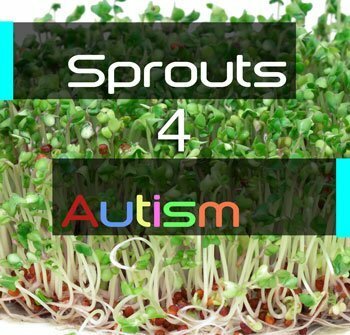 The study, titled Sulforaphane Treatment of Autism Spectrum Disorder, explores the effects of sulforaphane (a broccoli sprout extract) on behavioral symptoms associated with autism. Published in the Proceedings of the National Academy of Sciences on October 13th, 2014. The study involved 40 men ages 13-27 with moderate to severe autism spectrum disorder. Separated into two groups, the control or placebo group and those who were given oral sulforaphane supplements daily. Researchers regularly examined both groups over the course of 18 weeks. The group of participants who received the sulforaphane supplement showed significant improvement after the 18 week period. Improvements in irritability, awareness, communication, lethargy, hyperactivity, motivation and other behavioral measures were found in the supplement group. The control group however showed no notable improvements. Autism spectrum disorder symptoms are measured using the ABC (Aberrant Behavior Checklist) as well as the SRS (Social Responsiveness Scale). The sulforaphane for autism study examined the scores of each scale after 1 week and 18 weeks in both groups. ABC Scale in Supplement Group: 62.4 after 1 week, 45.0 after 18 weeks. ABC Scale in Placebo Group: 62.4 after 1 week, 62.6 after 18 weeks. SRS Scale in Supplement Group: 121.5 after 1 week, 105.2 after 18 weeks. SRS Scale in Placebo Group: 121.5 after 1 week, 117.5 after 18 weeks. While the sample group is relatively small, the results are extremely promising and warrant further research regarding sulforaphane as a treatment for symptoms associated with autism spectrum disorder. The results regarding behavioral symptoms associated with autism spectrum disorder were promising, however there were certain side effects that are worth mentioning. Participants that were given the sulforaphane supplement experiences weight gain and increased flatulence. There were also two participants who experienced seizures shortly after the study. The study only involved 40 participants, which is quite a small sample size. Future studies with a more broad sample size will help provide further insight into possible side effects and benefits of supplementing with sulforaphane. Found in cruciferous vegetables such as broccoli, brussel sprouts, cabbage, cauliflower, kale and in its highest concentrations in broccoli sprouts, sulforaphane is also available in dietary supplement form. In order to achieve sulforaphane intake comparable to the amounts used in the study you would need to supplement it, the amount found naturally in food is simply too low. Sulforaphane is produced when myrosinase transforms glucoraphanin into sulforaphane through damaging the plant material. This can be accomplished through chewing or mashing / blending the food material, allowing the compounds to mix together and react. 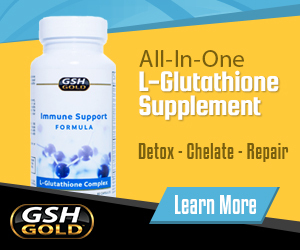 Sulforaphane is known for its anticancer and antimicrobial effects. Used to treat various abnormalities associated with ASD such as inflammation, oxidative stress, DNA damage, reduced antioxidant capacity, defects in glutathione synthesis, mitochondrial dysfunction and increased lipid peroxidation. 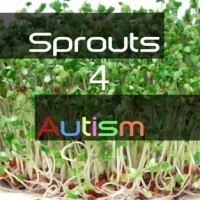 The broccoli sprout extract sulforaphane shows promise as an alternative treatment for autism spectrum disorder symptoms. Further research is necessary before anything can be stated with any degree of certainty. The danger of supplementing sulforaphane in large doses is still not fully understood and requires further examination before it can be accepted as a safe alternative treatment for ASD.